This is a real oddity, an album featuring what at first seems to be a bizarre collection of old and young (at the time) jazzmen; swingers, boppers and the nascent avant-garde all getting together for a big old jam. It's only when you listen that you realise that they all speak the language of jazz, and that the tendency to pigeon-hole artists into a particular style just doesn't need to apply. 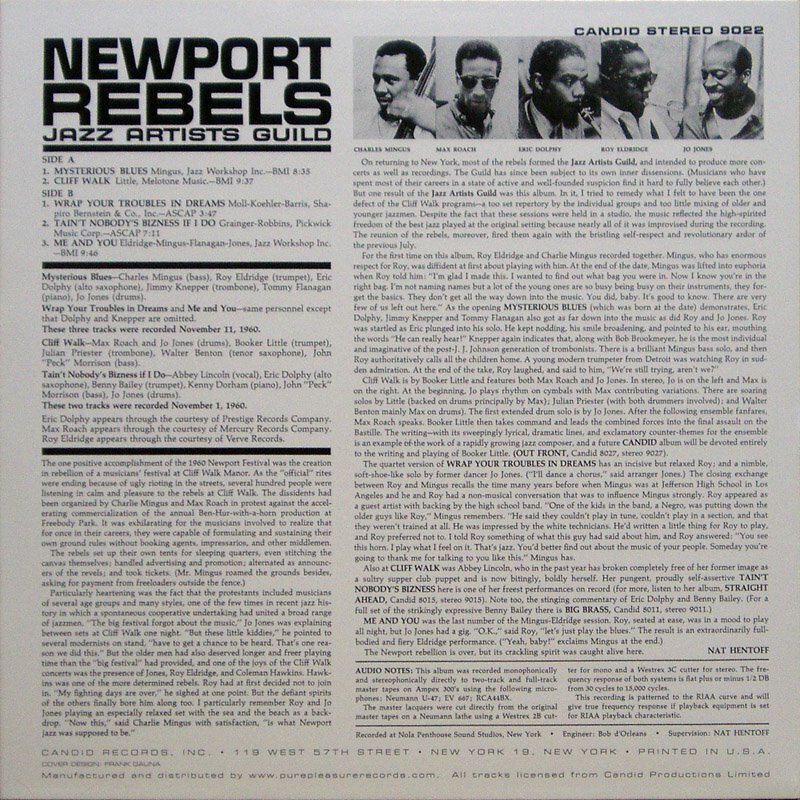 These artists were prompted to get together by the 1960 Newport jazz festival. 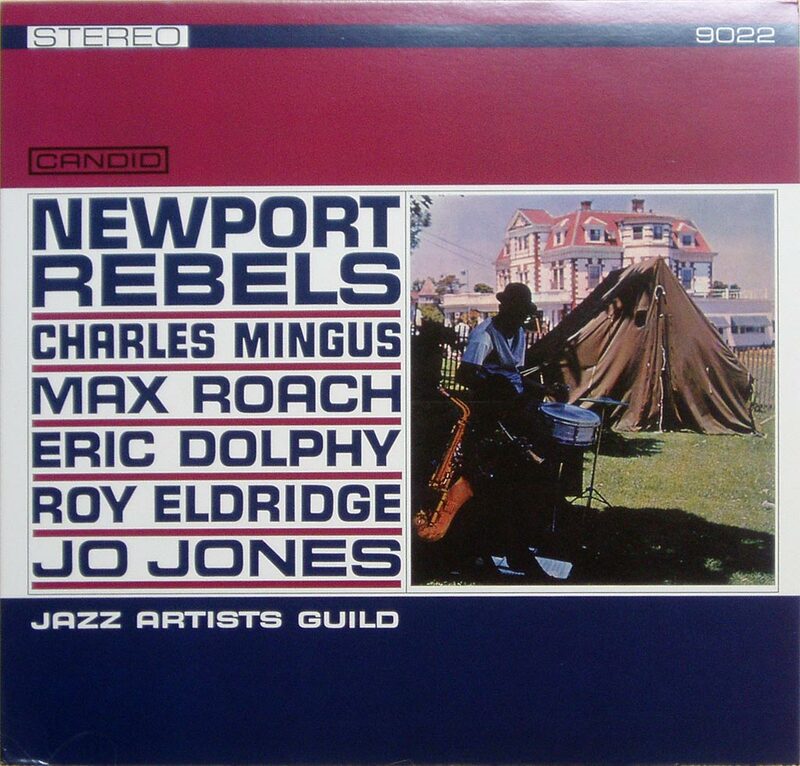 The story goes that Mingus, fed up with what he saw as the rampant commercialism of the main Newport festival, got together a bunch of like-minded musicians to stage a rival festival at nearby Cliff Walk. Everything was done by the musicians, from setting up the tents to promoting the event. Rumour has it that Mingus himself went amongst the audience to collect admission fees! This proved such a bonding experience that some of the musicians involved formed the Jazz Artists Guild on their return to New York, in order to promote better relations between all generations of musicians. Like many utopian ideals, the Guild ended in failure a short time later, but not before this album was recorded, and it stands as a testament to what can be achieved by cooperation between outstanding musicians. Side one is really the only place to be, containing the two standout tracks, 'Mysterious Blues' and 'Cliff Walk'. Both compositions were composed at the sessions, and the spontaneity shines through onto the recording. 'Mysterious Blues' is well worth hearing for the fantastic high-energy trumpet playing of Eldridge, coupled with Mingus' bass gymnastics and the superlative drumming of Jo Jones, dropping bombs all over the track. Also of note here is Eric Dolphy - not so much for the quality of his playing (which is okay), but for his presence on such a straightahead recording - i'm used to hearing Dolphy in a considerably more abstract setting. 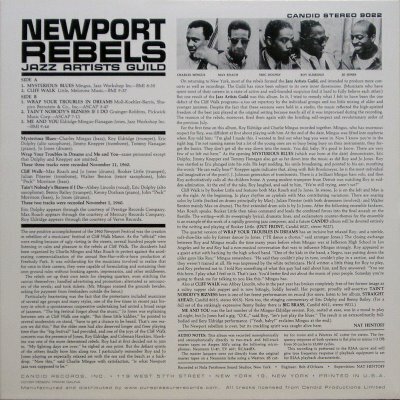 'Cliff Walk' is a real uptempo hard-bop brnstormer, complete with the album's finest moment; the drum battle between Jones and Max Roach towards the end of the track. Perhaps battle is the wrong word, as they seem to be helping each other out more than anything. Elsewhere, Roach drops his trademark bombs over everyone, flattening the soloists and stamping his authority all over the LP. Side two slackens off a little, with the vocal 'T'Ain't Nobody's Bizness If I Do' being particularly forgettable, but it all comes back into line for the closing 'Me and You', a long, slow blues jam with some more amazing trumpet playing from Eldridge. I know I always say this, but this is album has some great moments. So go buy it! For maximum enjoyment, make sure to order it in fine 180g virgin vinyl - i did and it sounds fantastic; the production is of the highest standard and the pressing really lets the music breathe. I'm glad to see someone comment on this album and the Jazz Artists Guild, both are far too often overlooked. 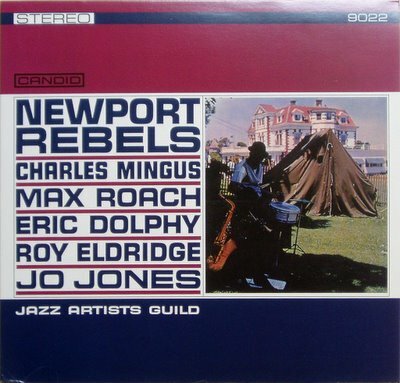 What you lack to mention is the context behind Mingus and Roach's desire to split off from the Newport Jazz Festival: the riot that occurred there in 1960. The shame is that the original concert was not recorded, but the spirit behind it is wholly unique. Thanks for this.